In this article, I will cover a free Spotify Recorder that lets you record songs without ads. 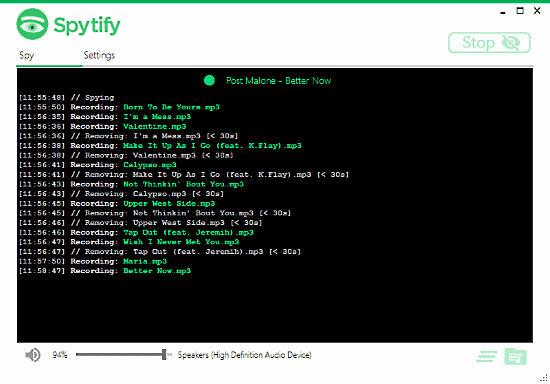 Spytify is a free software that lets you record songs from Spotify. Unlike any other Spotify Recorder, Spytify automatically detects the currently playing song and start recording. It boosts both Spotify and System volumes to 100% and records directly from the sound card to keep the audio quality almost same as Spotify. It does not record the ads or other system sound and also gives you an option to disable Spotify audio ads. While recording a playlist or multiple songs, it automatically splits the songs and saves them separately with a proper name. It also adds other track info to the mp3 files from the internet. How To Record Songs From Spotify Without Ads? 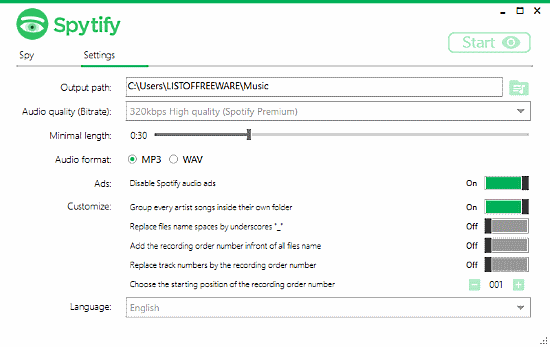 Recording songs from Spotify with Spytify is very easy. All you have to do is play something or anything on your Spotify, then come to Spytify and hit the “Start” button. Spytify will automatically detect the currently playing song and start recording it instantly. While recording a playlist, it automatically detects each song and saves it separately. If you skip a song, it still detects it but whether it records that or not depends on the time threshold you set in the settings. Do note that, Spytify is a song recorder not downloader. If you play only a small segment of a song and then skipped to the next it will record only that part of the song. Option to group every artist songs in their own separate folder. Add the recording order number in front of the file name. Replace original track number with recording order number. Replace spaces in the file name with underscores. 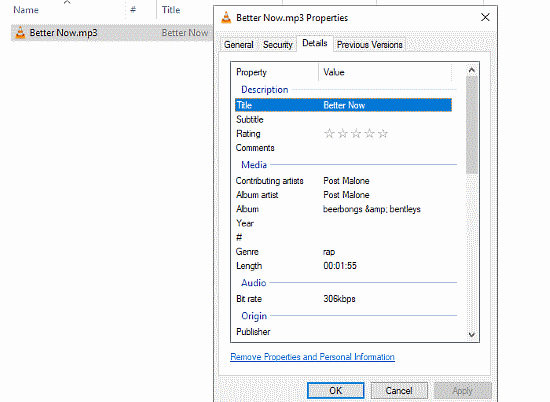 Apart from these options, you can select MP3 or WAV file format for your songs, set audio bitrate and output path. It also gives you an option to set a minimum length. This is the time threshold you can set for the recording to start. Spytify won’t record any audio that is played for a shorter time than the threshold time. The main advantage of Spytify is its file naming and storing schema. Instead of naming a song with a rubbish recording number, it uses the actual song name. 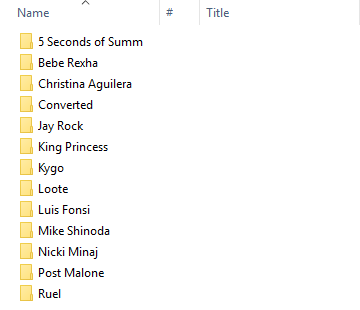 It automatically creates folders with artists names and saves songs in their respective folder, just the way it should be. I personally love Spytify’s this “Music Library” management. Another good feature I like about Spytify is that it adds the correct track info in the media file. Unlike other recorders, Spytify fetches the track info from the Internet and saves it in the MP3/WAV file. So, when you play these songs in a music player, it will show you a proper song name and info. You can download this free Spotify Recorder here. Spytify is a really good Spotify recorder. It packs some really great features that no other software offer in this category. You can literally set it to record your favorite Spotify playlist all night and have a well-sorted music collection by the morning.